This Black Friday deal can be purchased online with promo code OINK20 starting Friday, November 24 through Monday, November 27! PURCHASE HERE. Want to see what others think about the show? Read the show’s rave reviews HERE! 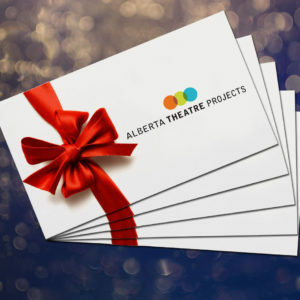 This season, you also have the option of giving the gift of theatre with an ATP Gift Card! Gift cards can be used in ANY combination for ANY show remaining in the current season. Learn more about ATP’s exciting season line-up HERE!